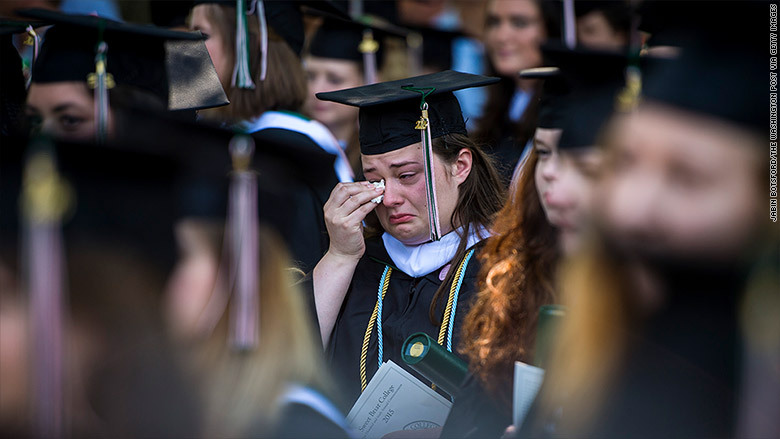 Sweet Briar College held what was going to be its last commencement ceremony earlier this year, but is likely to be rescued with a financial bailout. A judge green-lighted a plan on Monday to save Sweet Briar College, a small private Virginia school for women that suffered a financial collapse earlier this year. "We are pleased Judge James Updike approved the mediation agreement this morning," announced Sweet Briar College on its Facebook (FB) page. Virginia Attorney General Mark Herring had announced a settlement over the weekend to keep the school afloat with a cash infusion of $12 million from an alumnae group called Saving Sweet Briar, while the AG lifts restrictions on $16 million from the college's endowment fund to keep it going for the 2015-2016 year. The rescue package approved by Virginia circuit court Judge Updike also requires a purge of the college board of directors and the resignation of the college president. "The passion, creativity and commitment shown by the Sweet Briar family proves it is a special place," Herring said. "Sweet Briar College has been, and now can continue to be, an important part of the fabric of higher education in the Commonwealth." It was announced in March that the 114-year-old liberal arts college near Lynchburg was going to shut down this summer.